Caste is a contested terrain in India’s society and polity. This book explores contemporary realities of caste in rural and urban India. Presenting rich empirical findings across north India, it presents an original perspective on the reasons for the persistence of caste in India today. "Studies of caste in India were frequent and quite comprehensive in the earliest research conducted by social scientists. However, those studies were flawed and somewhat biased. Jodhka’s insightful and thorough work on this important topic brings everything up to date. This is a powerful and important investigation based on solid empirical research. … For advanced students of South Asia and educated general readers. Summing Up: Essential. Most levels/libraries." 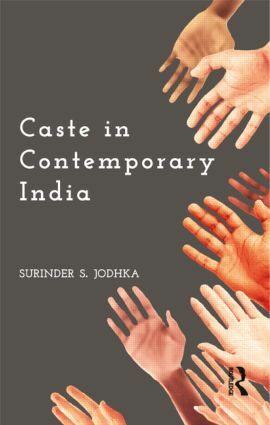 "This is a very useful book that reflects on the general question of how caste might be theorized and makes available new empirical material on the experience of Dalits in north and northwest India. Those unfamiliar with the Punjab will be introduced to this important region." Surinder S. Jodhka is Professor of Sociology, Centre for the Study of Social Systems, Jawaharlal Nehru University, New Delhi.